We did it again! You've got to see this place! 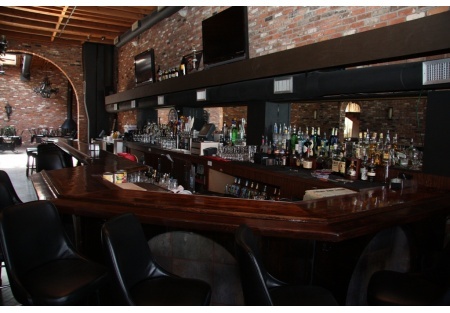 It is completely refinished, looks great, has a large bar area and ready to operate NOW. It's perfect for that high volume restaurant and bar you've been wanting to open or even expand your current restaurant and bar concept. Their was a type 47 liquor license on the premises and it is possible to get it reactivated. Talk to the broker for more details. Owner is landlord. This restaurant has two levels. The first level is 4,750 Sq. Ft. with very high ceilings (20 Feet), brick side walls and high polished wooden floors on the bar side and tile on the dinning side. This is perfect for a national chain restaurant! The building is completely restored to a original brick finish that's abolutely beautiful. In addition, one will find a large and long old fashion wood finished bar with mirror backing. There is seating for hundreds including balcony seating overlooking the restaurants' dining area and the first level kitchen which has about a 15+ foot hood system with a two burner Char-grill, four burner stove, two double deep friers, a rotesserie broiler and a large cooler storage underneath the equipment. The second level, which one can reach via an ADA Handy-Capped elevator, has a large banquet room with a small bar, the restrooms, 3 walkin cooler, one walkin freezer, a very long cook line with hood system fully loaded with equipment, and of course plenty of dry storgage. The banquet room could easily seat 80+. There is a large office down stairs as well along with a secured liquor storage area. The outside front of the restaurant is classic with high arching white finished doors and windows outlined with clean red bricks. This restaurant is in excellent condition as is the equipment. The landlord will insure the equipment is operating. All equipment not attached to the real estate is included including a Micro's multi-station point of sales system. Bathroom appear to be ADA compliant, but the buyer should verify they are. There is an entertainment permit on the property, but in Sacramento, these must be re-applied for upon transfer. Call agent to make appointment to view. Absolute Turn-Key Restaurant Ready to Go! 3 Walkin Coolers and 1 Walkin Freezer! MUST SEE THIS DREAM RESTAURANT/BAR!